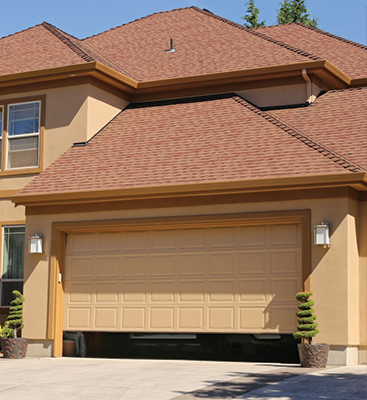 Does your garage door need help right away? 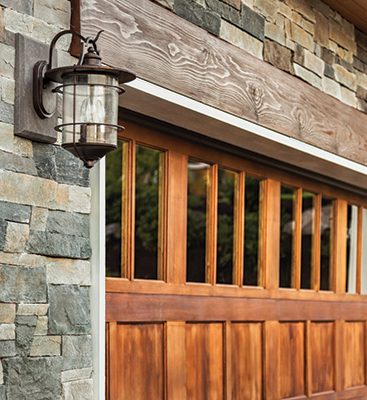 There’s a good chance you won’t get bored trying to find a new garage door. Home improvement is a constantly expanding and innovating industry and they’ve created quite a few options for you in the way of new garage doors. The most common type of door is The Sectional Door; it consists of several horizontal panels that are fitted with rollers and tacked together with hinges. There’s a heavy duty torsion spring which is wrapped around a torsion bar that serves to counterbalance the weight of the door. These can be lifted by hand but people generally purchase a garage door opener, which could be chain—the loudest—belt, screw, or direct driven. These sectional doors can come with or without windows, the glass can appear in square or arched shapes and have many decorative styles. Carriage style doors operate like a pair of large French doors. Typically, they’re made of wood and hang from jambs on hinges. These kinds of doors look really good; their vertical lines work to integrate the garage door with the rest of the house. This style of door is generally more energy efficient as well as being more stylish. Because they have only one hinge, they seal better and hold in temperatures. You should note, before having these installed, that these kinds of doors need more clearance. If you park too close, you won’t be able to open them. Swinging doors tend to be much more time consuming to operate and more expensive to buy automated openers for them. Ready for more options? 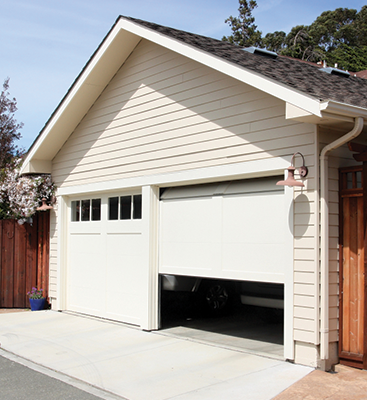 You can have a garage door made of steel, aluminum, wood, wood composites, fiberglass, vinyl and glass. Wood is more popular for its natural look but there are, of course, ways to fit these other types into your home. Steel garage doors are often made with two layers of galvanized steel. They’ll be painted with a resistant top coat or adorned with composite metal. These can be painted to match the rest of your house; however, they are prone to corrosion in coastal areas and often dent. Wood doors are of course the most popular; they’re built with layers to stop the door from warping. You’ll often find cedar, redwood, fir, and meranti which will be stained or finished to match your house. Wood composite doors consist of a wood frame with fiberboard sheets in the center. Aluminum frame doors are made of panels. Aluminum does much better with avoiding rust, but dent very easily. Fiberglass are hardly subject to denting or cracking, however they can break upon impact. The doors will be two layers of fiberglass bonded to a steel frame and filled with insulation. Vinyl claim to be kid proof because denting and breaking them is extremely hard to do. Made with a steel frame and insulation, they look alot like fiberglass but aren’t made in many other colors. 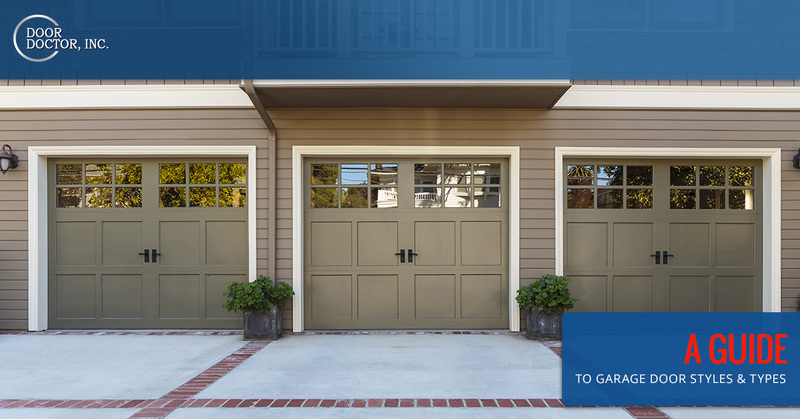 After being educated on types of garage doors you can purchase, the next step to making this investment is kinds of door openers. Unless you intend to get out of your car every time you come home to open your door, this lucrative money earning addition to your home is a necessity. Contact Doctor Door to chat about what opener fits your door best! Please note – we do not sell any of these garage doors. We can repair these models and install openers to operate them.